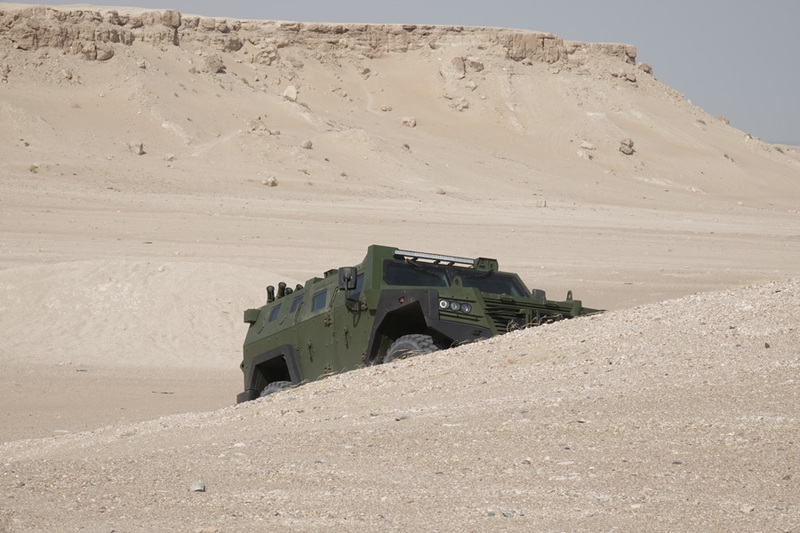 The vehicle has 5 loopholes for firing with personal armament during anti-ambush operations, observation holes with ballistic protection, air-conditioning and NBC protection systems, modern communication equipment, Command Information System, and night vision and driving cameras. The wheels with “Run Flat” inserts ensure the mobility of the vehicle up to 50 km in case the tires are seriously damaged, and they also feature the central tire inflation system. Owing to the wheels with 20 inch aluminum rims, the vehicle has a robust appearance and features high mobility and off-road capability. The clearance of the vehicle is 420mm and the maximum weight is 14 tons.